Ciao, bella! The largest yacht to date built by Abeking & Rasmussen was spotted in Naples, Italy, in August. 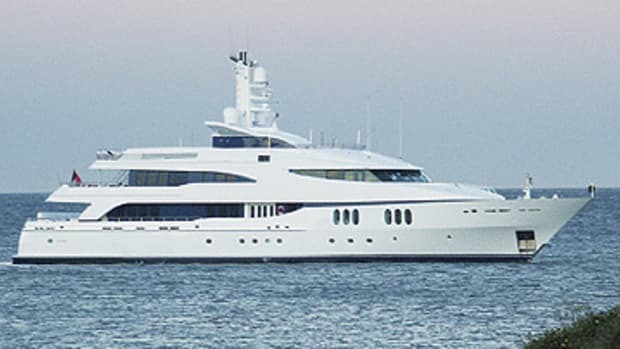 Her owner, Herb Chambers, who also owns about two dozen car dealerships in New England, told The New York Times last November that he charters out the yacht about ten weeks per year to cover part of the $3 to $3.5 million he spends annually to maintain her.